I’ve lived here for over 25 years. I’m a single mum of two children who both went to the Langley Schools as well as youth groups at St Johns Eden Park. So all three of us feel very much part of the community. When I found myself a single I had to find a way of working flexibly to be at home for the kids so I set up my own business working as an IT consultant for small and medium sized local businesses in Beckenham and Bromley. 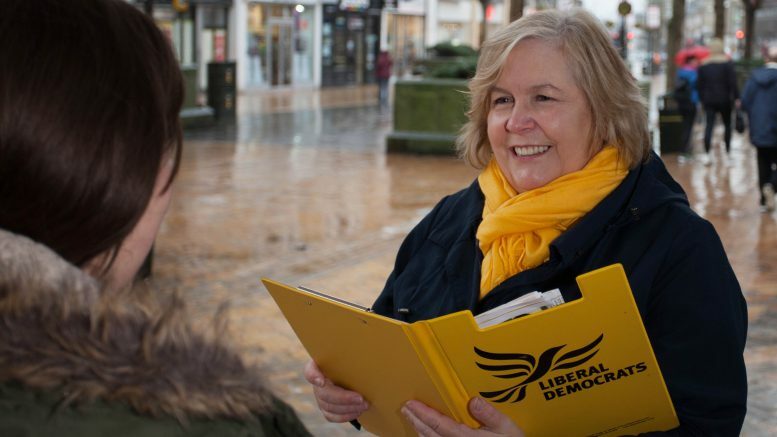 I joined the Lib Dems in 2015 – I’d always voted for them and supported them, but I was moved to actually step up and join following the 2015 election when the Lib Dems lost almost all their seats following the coalition. I thought then that if people like me didn’t step forward there would be no voice for liberals in Britain. Since then I’ve been very active in the party locally, and I stood for Parliament in the 2017 general election in Beckenham, against Bob Stewart. I would like to be a councillor in Kelsey and Eden Park because I want to be a voice for the community on the council. Beckenham is already an area rich in community groups and people from across the town give up their time to work with friends and neighbours to support each other and preserve and improve our community assets. The local council has a role to play in that community, to listen to the community and serve it diligently and I feel strongly that important decisions should not be left in the hands of council officials, it’s up to the local councillors to speak up and represent the views of the people who voted for them. There are a range of issues, many caused by the austerity measures followed by the council. While I accept that all local councils are suffering incredible strains on their funds it is still possible to take steps to respond to the community’s needs. For example, the council invests a lot of its capital outside the borough– why can they not invest in property inside the borough, perhaps property that would benefit the community? Road safety measures can be very low cost – often subsidised by TfL – but the requests for a safe crossing on Village Way went on for 10 years before they took action. I am ambitious about what I could change – and have a very long list. But I am also realistic – I will be one Liberal Democrat councillor on a council with 53 conservatives. But I think my election might spur some other councillors into being more active in their communities. I hope I will be able to encourage the two other councillors for the ward to come to the community and listen to what people are saying. My first priorities if elected will be to work with council officials on the campaigns for safer routes to school on Eden Park Avenue and South Eden Park Road, and to go back to the residents who have highlighted issues specific to their street or their house where their requests for help have been ignored. I will continue our campaign to stop the merger of Bromley police force with Sutton and Croydon – already there are signs of a shift in policy, with agreements for some police offices to be kept open and for us to keep our own rapid response unit, but the best outcome will be a stop to the merger completely. Liberal Democrats are the party that put community first – listen to the community, support them and feed back to them – the definition of community led politics. Personally I am well known in the area as a hardworking and passionate campaigner – I attend every meeting of the full Council, I ask questions at the council when allowed to do so, and follow up the questions with persistence. I hope people will use this opportunity to vote for a change. If elected the community will have a hard working dedicated councillor who they will see regularly and who they will be able to contact easily, who will respond to them, will represent their interests in the council and who will keep them informed about issues affecting the area. Be the first to comment on "Meet the Candidates – Julie Ireland (Lib Dems)"